The Peersonic Bat Recorder is the perfect choice for anyone interested in bat detecting, recording and analysing. 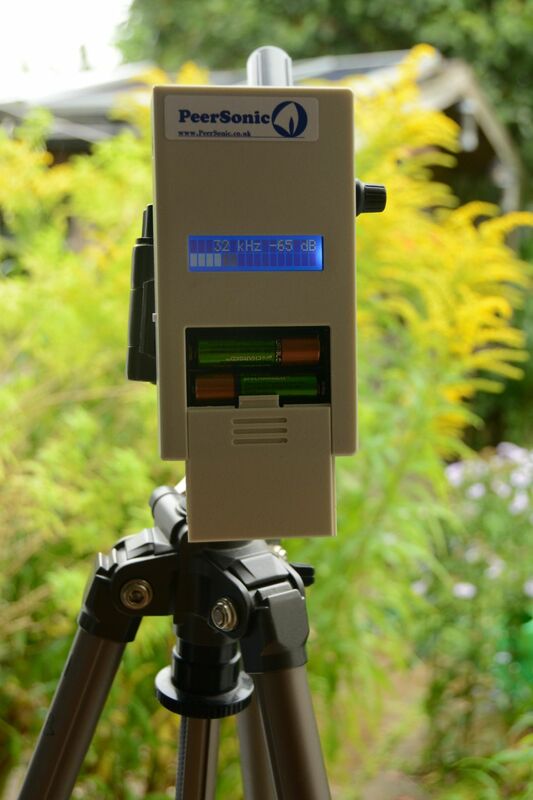 This is a handheld recorder and detector, which will give audio response and display live peak energy frequency. It can also be left to automatically record - all files are time stamped. A weatherproof offering is also available for 5 nights' recording; the handheld unit can also be placed into a weatherproof enclosure for low cost, two nights' recording. Our aim is to provide cost effective, full spectrum recording; our entry level pricing is similar to a good detector but high sample rate recording and fast frequency display are included as part of the package. The Peersonic full spectrum recorder delivers multiple features at entry level pricing, and the quality is equivalent to equipment costing £1000 or more.